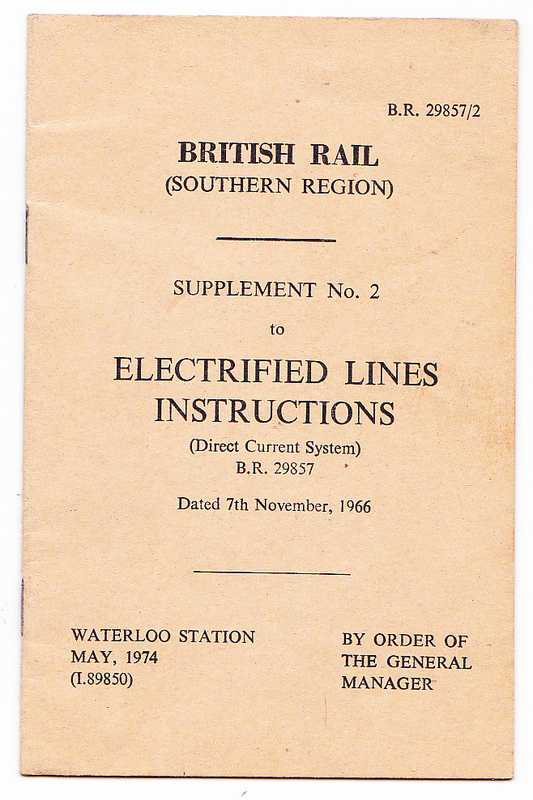 These recent additions to our stock will be of particular interest to railway enthusiasts and collectors of railway memorabilia. 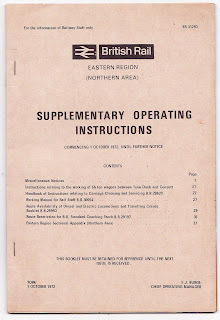 The British Rail Eastern Region (Northern Area) Supplementary Operating Instructions from 1972 are at 4242 in our listings, while the British Rail Southern Region Supplement to the Electrified Lines Instructions is at 4243. Our stock is currently listed on Abebooks, Antiqbook and Mare Libri - use the `Buy Books` links provided to see further details, condition, price etc, or if you prefer you can deal with us directly by e-mail - hoonaloon@btinternet.com . 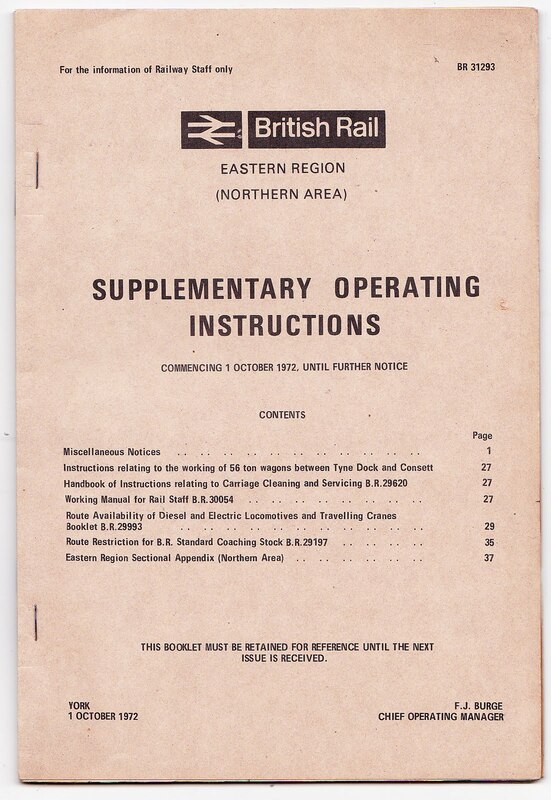 Other railway publications can also be found in our listings. 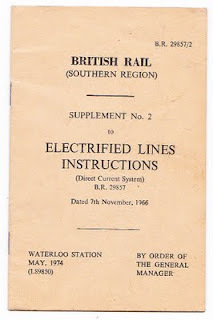 If railway-related events are of interest to you, you may wish to see `Let`s Talk About Trains`, posted earlier today at http://bookshelvesandbrownale.blogspot.com .